NetHack: Legacy follows on from it's older brother with the aim to make NetHack a bit more modern and accessible. Personally, I've never actually played NetHack, so I'm not honestly too sure on why it needed a remaster. I also find it quite odd that a game with ASCII graphics is being remastered with the style of an old CRT screen. The original NetHack has been in development since at least 1987, and is still in active development today. However, enjoying the game in its original ASCII interface is somewhat complicated for those unfamiliar with command prompts and UNIX tools/methodologies. The game was simply designed for programmers, by programmers, and getting everything setup correctly called for at least a vague familiarity with the field. NetHack: Legacy branched the open source project in late 2017 to make fairly substantial changes to the codebase for a more friendly user experience and more streamlined platform support. The goal of NetHack: Legacy is to make NetHack more accessible to modern gamers on modern machines, involving many architectural changes which are, unfortunately, incompatible with some of NetHack's many target operating systems. Thus, NetHack: Legacy chose to fork so that both projects could fulfill their respective goals and visions. However, the core game logic is compatible between the two projects, so both can benefit from many of the improvements and enhancements made by one another, as both projects are open source under the NetHack General Public License. 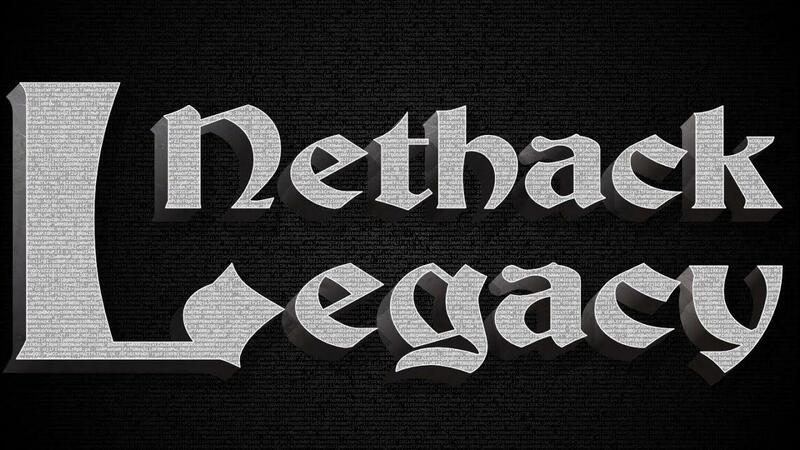 Since NetHack itself is open source, NetHack: Legacy will be as well. Although the source link on their official site doesn't actually contain the source code right now. I assume it will be when the game actually releases. It's due out on August 10th with Linux support for $5.99/£4.79/€4.99. See more on Steam or the official website. I mean, why not just play good old Nethack in a cool-retro-term window? Blah. The fish-eye lens effect of the faux CRT monitor is a huge turn-off. It didn't exactly make the game (or any game) better back when that's all we had, and I don't see how introducing a fake version of the same distortion makes anything better now. It seems weird for a dev team who talks about removing barriers to make the game more accessible to introduce a new barrier to make it less accessible.